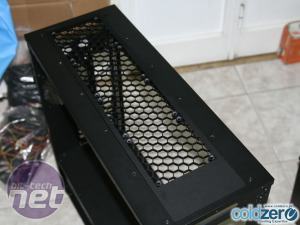 Large cases are usually popular with modders who have a fetish for packing their PCs with water-cooling gear, and Corsair's Obsidian 700D has already made it onto our modding forums despite only being launched this month. 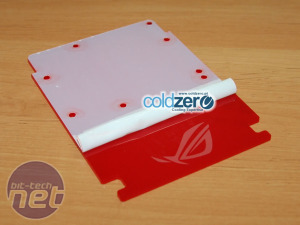 Forum user ColdzeroTeam is the lucky guy with this large case, and he's set about stripping it down and applying a little touch of Asus' ROG style to his project. Nearly all the surfaces have been modded in some way so far, and we're particularly keen on these bright red acrylic drive bay liners. 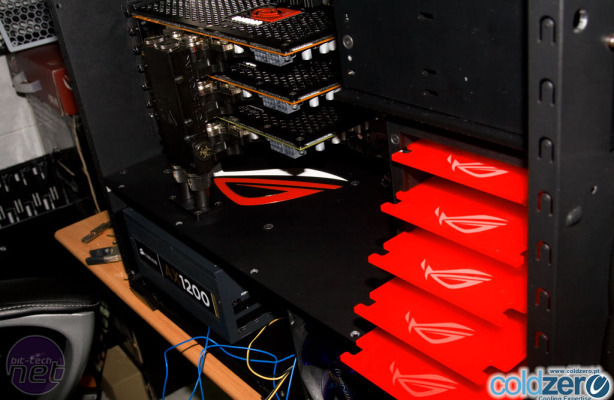 We can see how the red liners will fit into the drive bays above, and we can also see just how much room there is in the 700D for water-cooling hardware. 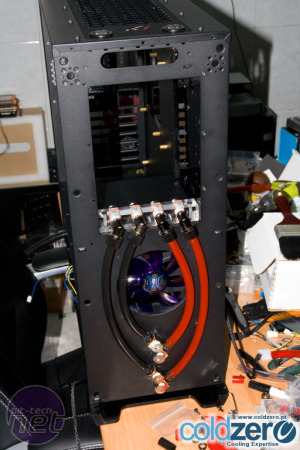 ColdzeroTeam has managed to mount two Laing DDC pumps on a stand, one above the other, and there's also room for a double 120mm-fan radiator in the base - something only a handful of cases such as the SilverStone TJ-07 and Lian Li V2000 can manage. The details that are starting to appear look fantastic, and we'll have to find out where he got the acrylic - it's a brilliant shade of red. 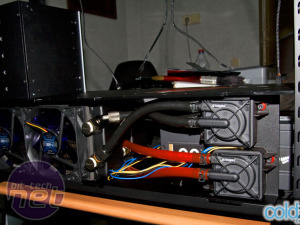 Some of the best bits of the project, though, are the various front-mounted bypasses for the tubing, which have been routed in the shape of Nvidia's logo. The rest of the case is coming together nicely, with a sporty but clean look, and we can't wait to see the finished article. Corsair 700D R.O.G 'R US looks set to become a classic, so head to the forum if you'd like to vote for ColdzeroTeam's creation.